After the first already fantastic day at Castlefest , the camping site slowly wakes itself up with the increasing intensity of shower doors clappering over at the sanitary units. 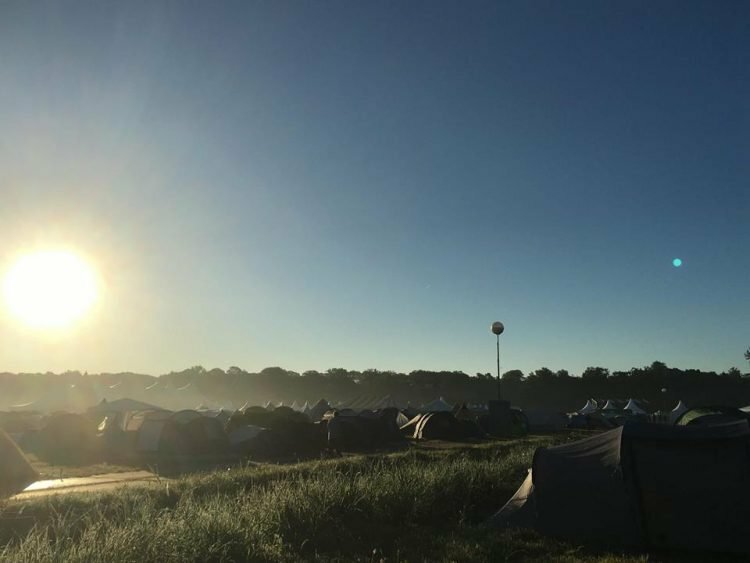 As the first rays of sun evaporate the dew on the tents, those privileged to already be here, rise and prepare themselves for today’s program over breakfast, with the festival terrain at full capacity. On the music-menu of today are the soothing sounds of Irfan , the party that is EMIAN PaganFolk , mystical melodies by The Moon and the Nightspirit , the energy-boost of The SIDH , the beautiful voice of Gwendolyn Snowdon and the high-rising Sunfire . And that’s just before dinner! The evening will feature Sowulo , Kaunan , The Dolmen , Fiona (of FAUN ), Coppelius , Prima Nocta , Eivør and exclusively for these same people currently waking up: ThunderCrow as the closing act on the Meadow stage. So come on over and join the party or follow us closey and enjoy those snippets of the festival that we will be able to bring to you!